Biochar learning camp. 20th Dec 2014. Folks we had a sensational session on the 20 – 21st December. 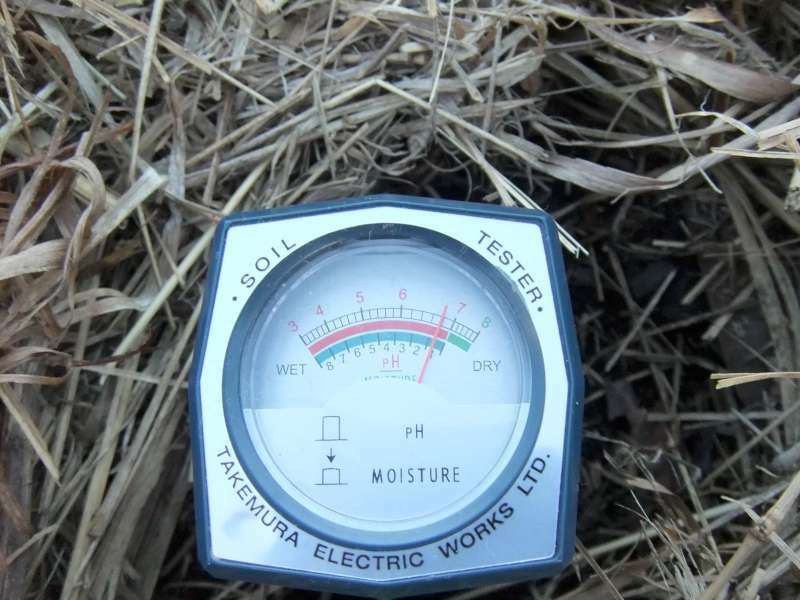 Brand new PH – Moisture tester was acquired by synchronicity you know Hill of Abundance style. It is made in Japan no battery works instantly off 3 types of metals and has a life time warranty. Old school technology and robust design. 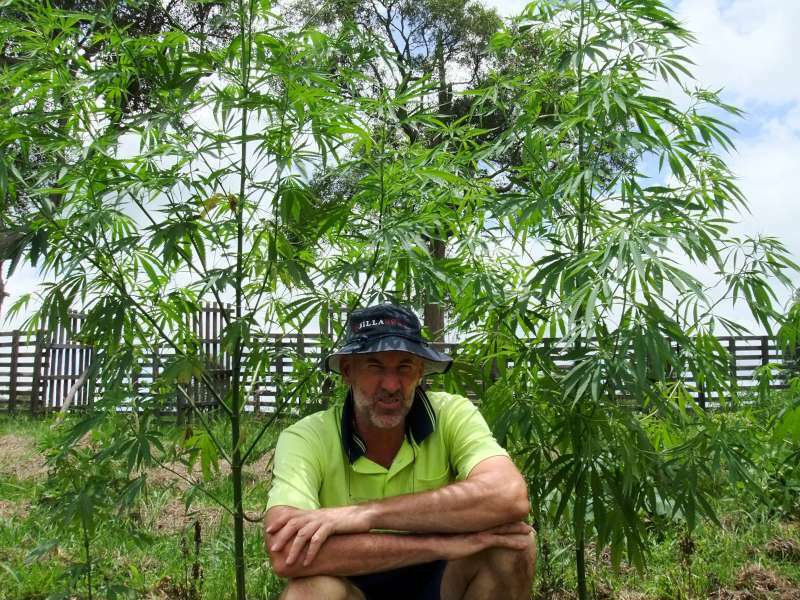 I have triple checked the hemp plots for PH Hemp Trial Biochar Project style is here. It is so much easier than mixing soil with white powder and purple drops and so much more accurate as the needle sits on a physical number. Check it out. 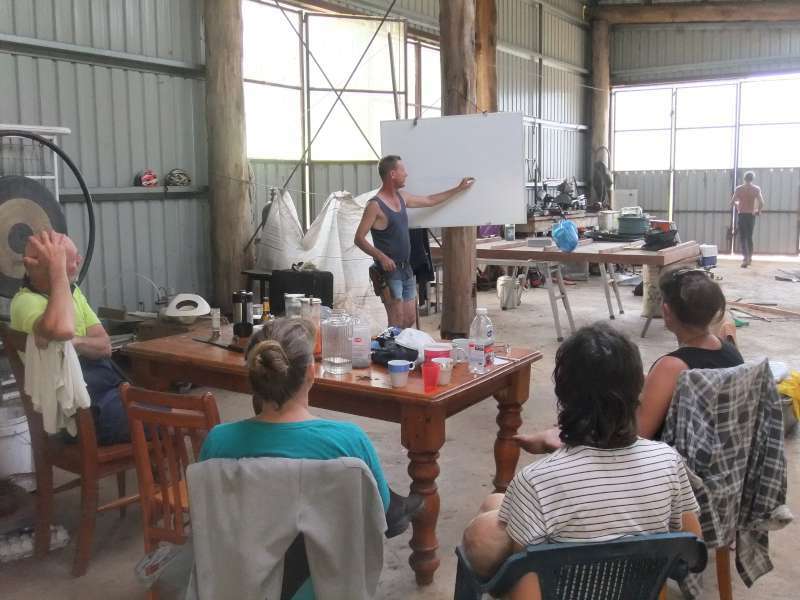 We gain a lot of Info from Scott’s very knowledgeable Permaculture teaching style. He says its exactly how Bill Mollison teaches it. Once the Student understands how to use the manual Properly then he can add there own flavor of creativity. This is a very important factor in keepi9ng the permaculture concept understood. Once the theroy was completed we headed off into the garden to practice what we just learnt. Up in the Garden we had many hands and we got much done . Marcel was helping us understand that the canopy of support plants help moderate the soil temprature. In the next photo you can see him scientifically checking the facts. 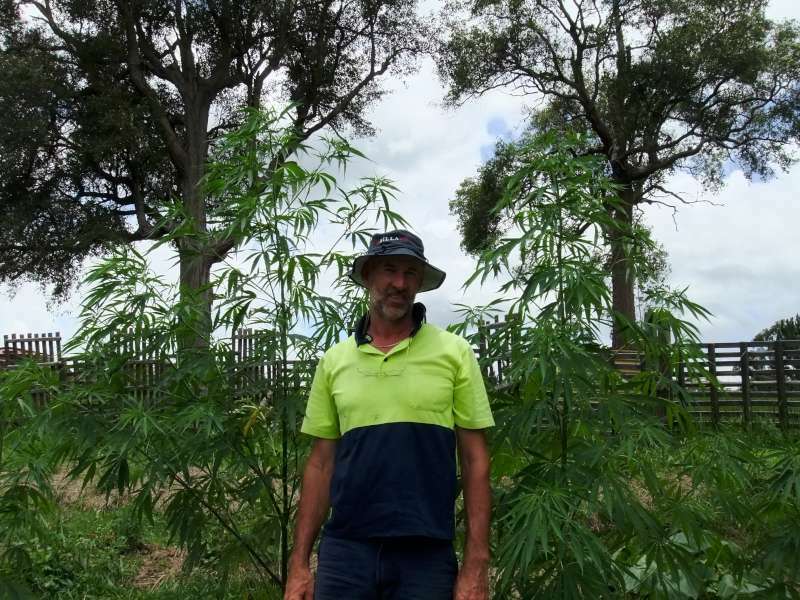 And here he is again scientifically showing us how high the plants have grown since the last workshop. 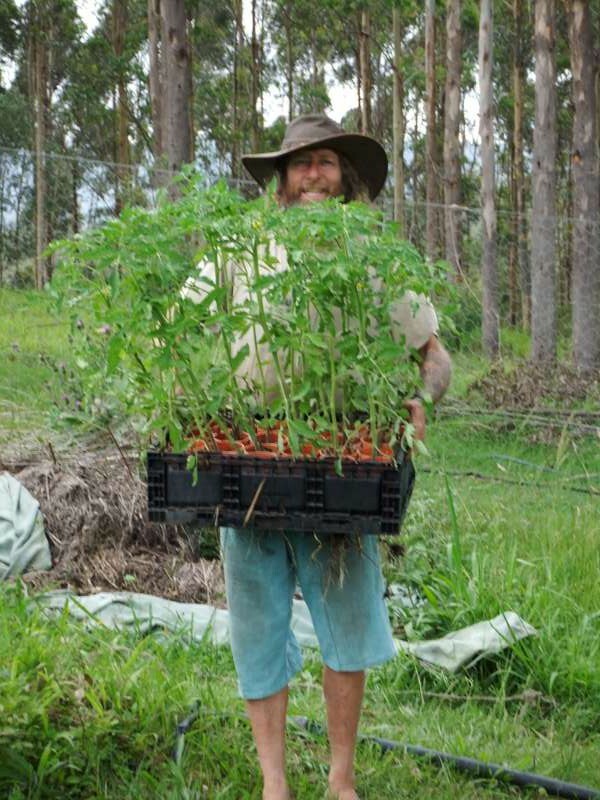 Charmaster Dolph with another box of goodies Organically raised on the hill of abundance. Our certified organic Market Garden. And I almost forgot. On Saturday afternoon we had tool sharpening expert Dr Phil Vardy from Brisbane Organic growers Inc. Give us a demonstration of his tool sharpening techniques. He brought with him a very high tech low speed sharpening setup which he taught us how it works and the philosophy behind sharpening and metallurgy. Phil said do you have any tools I can sharpen. OMG a dream come true I said hell yeah and raced off to the shipping container to gather up all things blunt. Little did I know that so did the other participants. So when I got back we had a huge haul of things to sharpen. 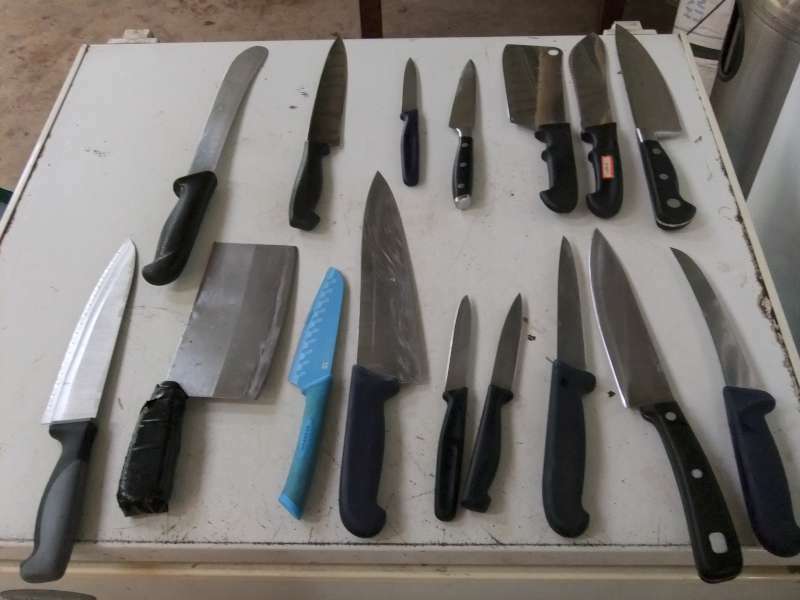 Including all our kitchen knives. Scotty and Marcel set up security barriers around the Moxham and even carved in a set of stairs so we can be much safer around the fire at Night. Having this barrier was set out in the review of the Moxham made by Black is Green Pty Ltd. Another O H and S feature we have implemented. Thank you for your guidance Dr James Joyce. End of the update I hope you enjoyed. 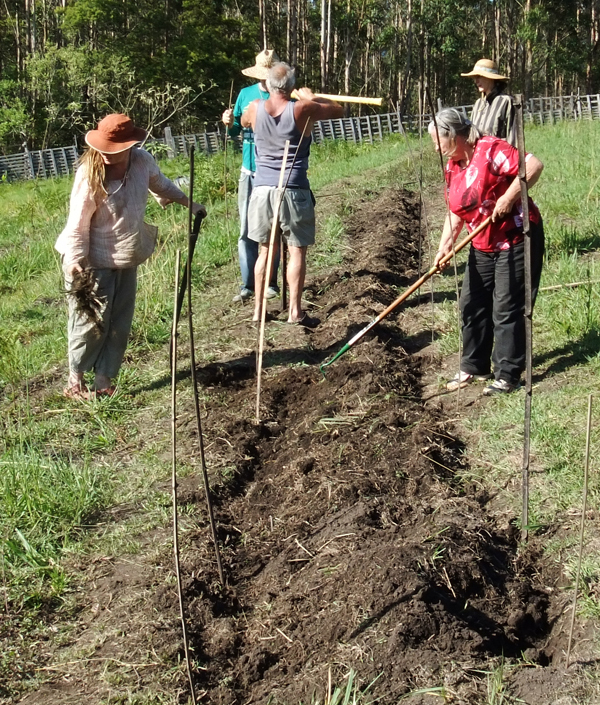 Biochar, Permaculture and self-reliance deep Immersion training. December 20th and 21st 2014. Biochar learning camp. 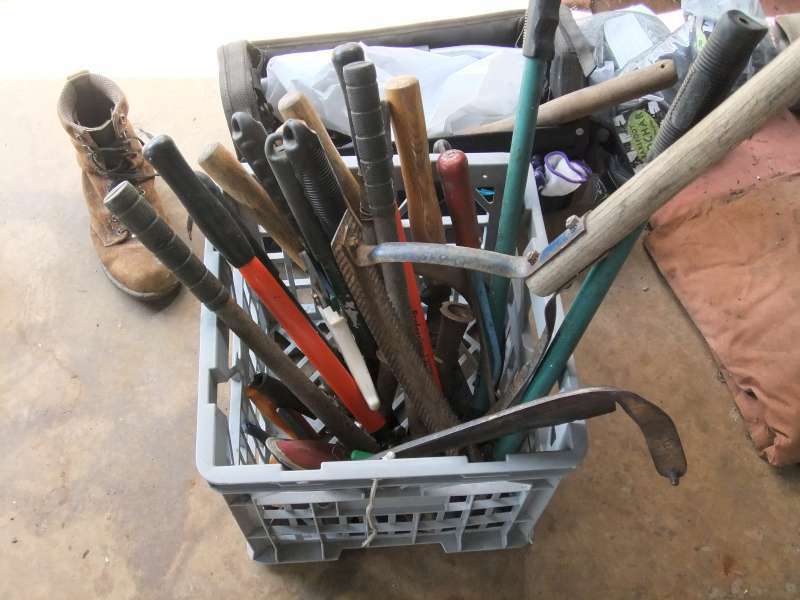 Payment = via anonymous donation to tin on table and or Donating materials / tools / useful items to the project. FOOD = Another bring your own event + bring some to share. Extra brownie points for bringing awesome home-made food and recipes. WHAT TO BRING = Work Clothes, Hearing protection, Hat , Gloves , Boots, swimmers , everything you need to be comfortable. WHERE TO GO. 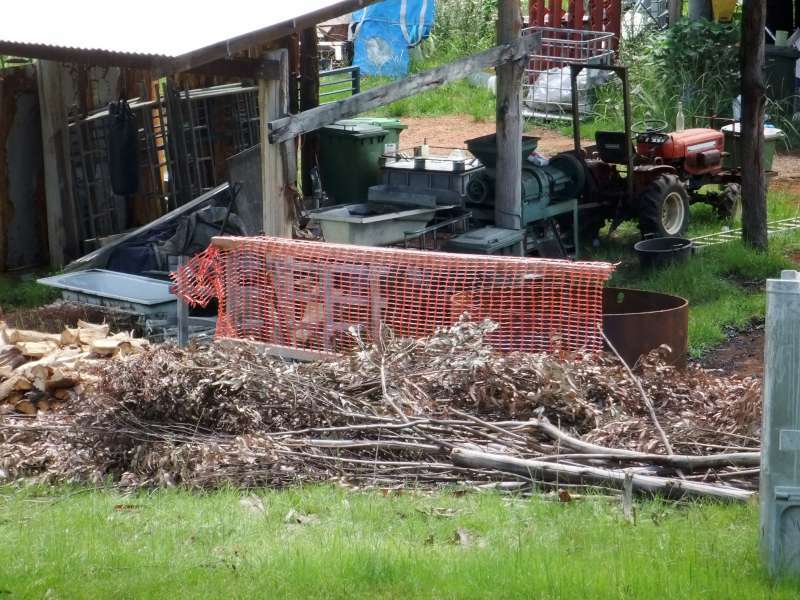 Biochar Industries. Map here. and Here Dolph will provide you with more info via an email request. 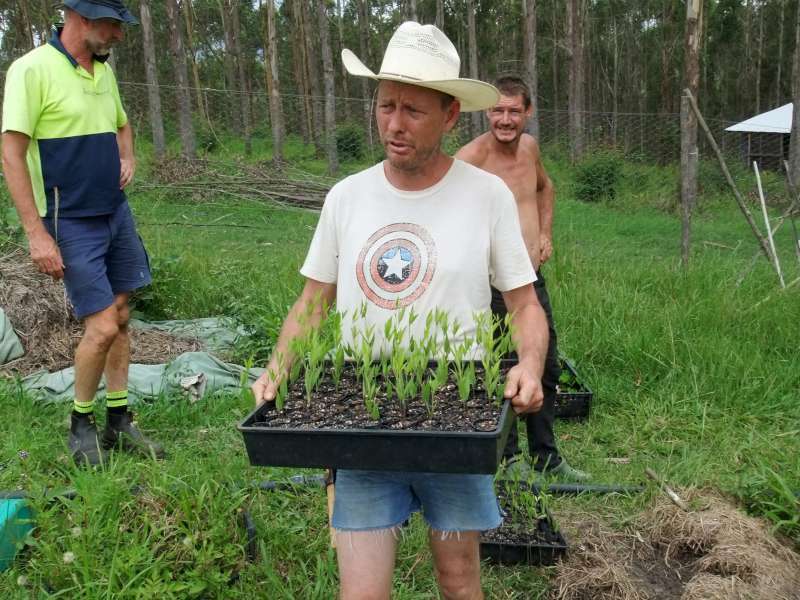 THIS PROGRAM = Enriching Biochar. Friday When you arrive till when you crash hang out with Dolph help on projects and sit down to a good meal. Talk till you drop. Setup camp etc. Saturday at the Biochar learning camp. Rise till 8am Enjoy the Hill of Abundance. 8am – 11 am Blue Knob Farmers Market for a Christmas community bash. You will get to observe and interact with a community of like minded people. Which we will later discuss in depth to enhance our learning’s. Noon. Back to the Project. 2pm Holistic Land Management Biological testing. Also known as Kids and Darts Test. 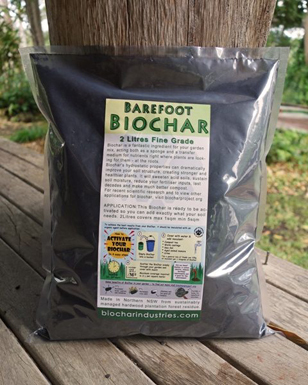 3pm Enriching Biochar a New Presentation by Charmaster Dolph Cooke. 4pm Hands on in the enrichment area. 5.30pm Biochar Trial area to create a New Biochar Trail Plot. 8pm Draw up Roster for Tending the Fire then start the ceremony. 8.15pm Light up the Moxham and have a group discussion. Until we drop. Sunday at the Biochar learning camp. Till Dawn wake up the folks next on the roster then get yourself some. 7am Breakfast and extinguish the Moxham. Crush etc. 8am till Finish. Scott says Hi everyone on the final day I will take all the space left for workshops and start an informal permaculture primer which will cover most of the first module of the pdc, will that work in? We can walk around and make some observations too. You will Gain from our Biochar learning camp. biochar learning, Biochar training, biochar education, biochar experiential learning, deep biochar understanding, biochar knowing, biochar knowledge. If your on Face Book please share our Event. We have been doing event for a while.